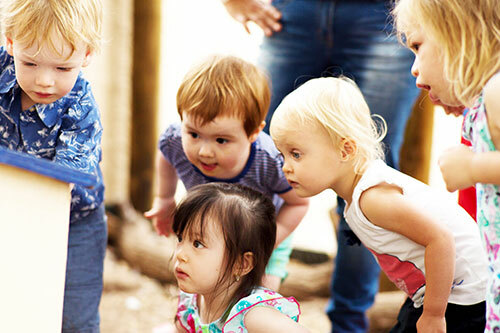 Escuela del Sol’s programs are based on the philosophy and methodology developed by Dr. Maria Montessori, who understood that all children have developmentally “sensitive periods” and particular needs at certain stages in their growth. At these times, and in a supported setting, they learn with the greatest ease, fueled by their own curiosity and abilities. Our classrooms are specially designed for multi-age groups and provide a setting that encourages the development of a healthy social community. Our students are able to work both independently and with classmates, using materials that cultivate creative thought, self-discipline, care of others and of the environment. Music, physical education and Spanish lessons enhance the student’s enjoyment of the world and provide avenues for self-expression and social interaction. Creativity flourishes in this atmosphere of acceptance and trust. Lessons are introduced simply and concretely, following the child’s interests, developmental readiness, and ability. The multi-age setting allows children to observe older students and learn from them; it allows older students to confirm their understanding and abilities by becoming role models and peer teachers for their younger friends.